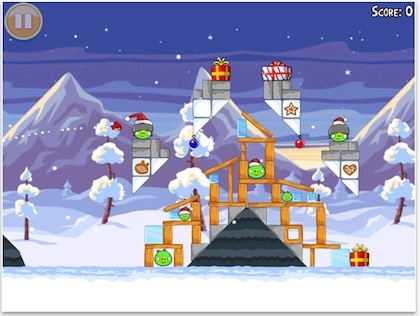 Angry Birds gets dressed up for the Holidays! If you play as much Angry Birds as the average person does, you know when little birds, pigs and structures come together, something has to loose. In this ‘Holiday’ version of Angry Birds, the pigs have kicked it up a notch to tease and challenge. The game includes 25 holiday levels, including presents, snow blocks, candy canes and gingerbread cookies too! If a new level in Holiday Angry Birds is proving to get you down over these Happy Holidays, you can in-app purchase the Unlimited Eagle Power to blast your way through the level and onto the next.